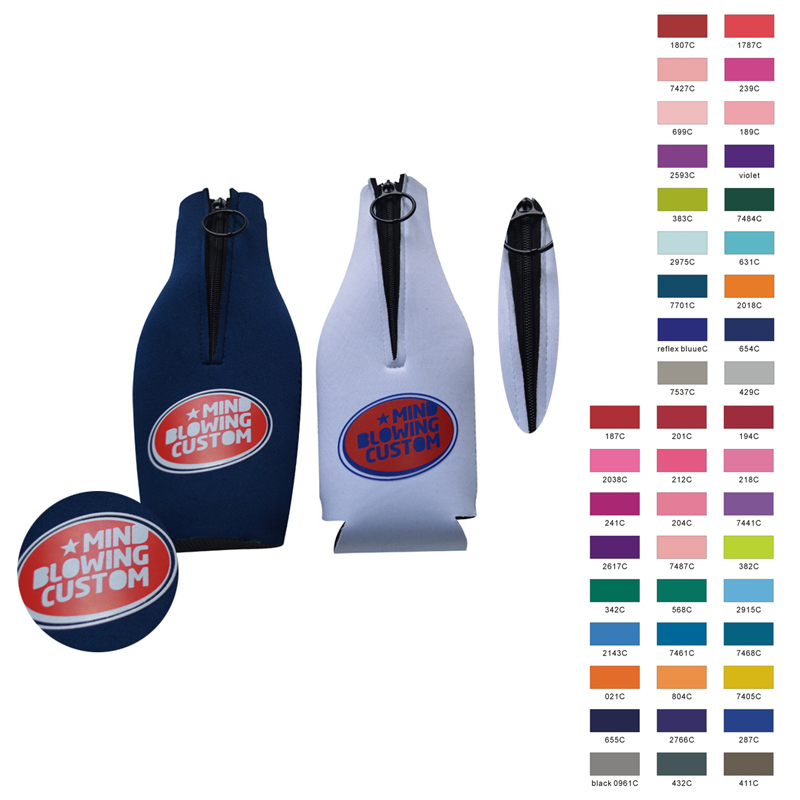 This bottle cooler is made of 3 mm neoprene material, and it has good insulation work. No matter what to keep it cool or warm. Great as promotions to advertise your brand. Custom logo can be imprinted with all colors. Package: 1 pc/opp bag, 300 pcs/ctn, 33 lbs/ctn.